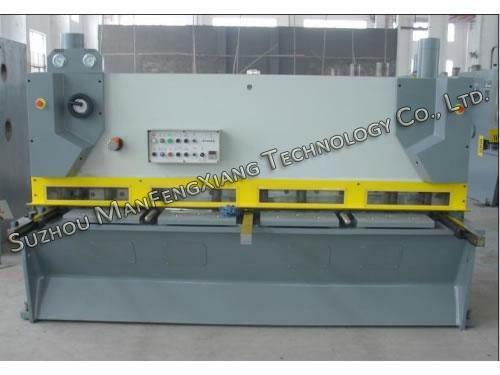 Hydraulic guillotine shearing machine is classified as sheet metal shears. 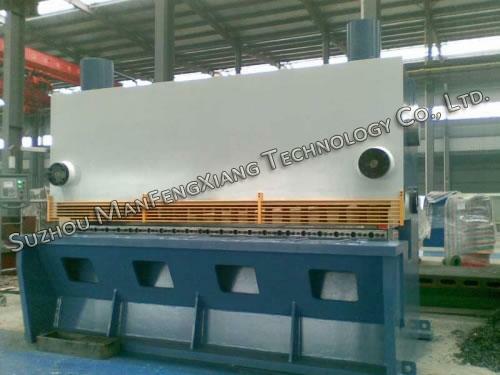 It consists of the shear table, work-holding device, upper blade and lower blade. 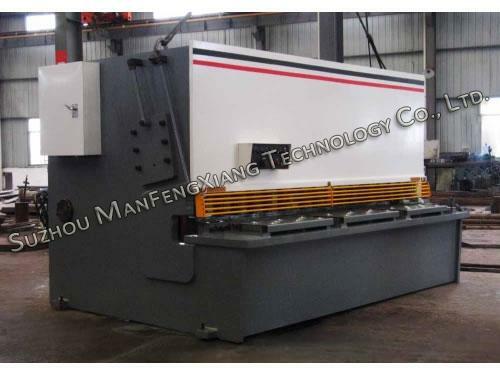 This hydraulic power squaring shear works by first clamping the material with a ram. A moving blade then comes down across a fixed blade to shear the metal sheets. During shearing, the workpiece is placed on the work table. The work-holding device will hold the workpiece in place and prevent it from moving when the upper and lower blades are shearing the workpieces. 1. 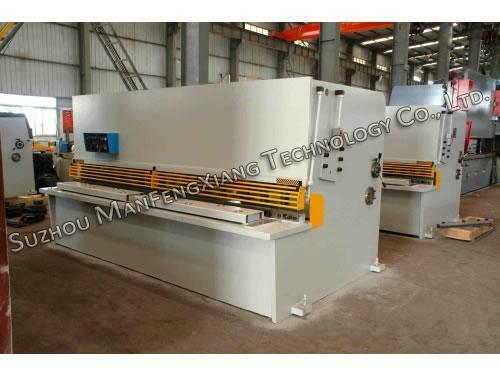 Hydraulic guillotine shearing machine is in steel-welded structure; in this way, internal stress is eliminated, and the machine body is strong and rigid. 2. Driven by hydraulic cylinder, the upper and lower blades precisely move fast. 3. Pinch roll/triple support rolling guide rail helps eliminate the gaps and enhance the shearing quality. 4. Clearance between the shearing blades can be adjusted by hand wheel and numerical displayer. 5. Rectangular blades are designed with four cutting edges. 6. Exact meshing between the upper blade and the lower blade makes the hydraulic guillotine shearing machine much more durable. 7. Shearing angle is adjustable so that the workpiece deformation is decreased. Besides, the straight-line shearing action improves accuracy when processing metal sheets with various thicknesses. 8. Upper blade holder is designed with inward structure so as to make material feeding convenient. 9. Back gauge can move, be positioned and stop automatically. 10. Overload-protected magnetic motor starter is applied to control the hydraulic guillotine shearing machine. SUZHOU MANFENGXIANG TECHNOLOGY CO.,LTD. 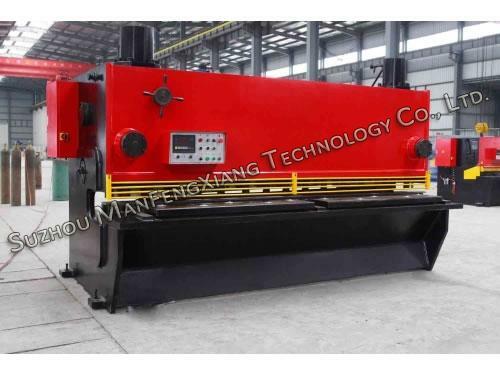 is dedicated in manufacturing different steel bending and forming equipments, including hydraulic guillotine shearing machines, tube mills, roll forming machines, etc. 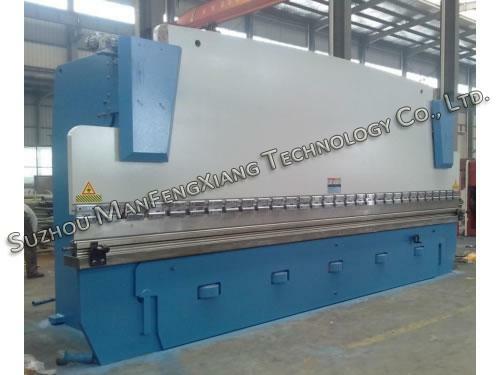 As specialist press brake manufacturer in China, we produce a complete series of machinery products which are widely utilized in construction industry, especially for factory building, warehouse facilities, store facilities, etc.